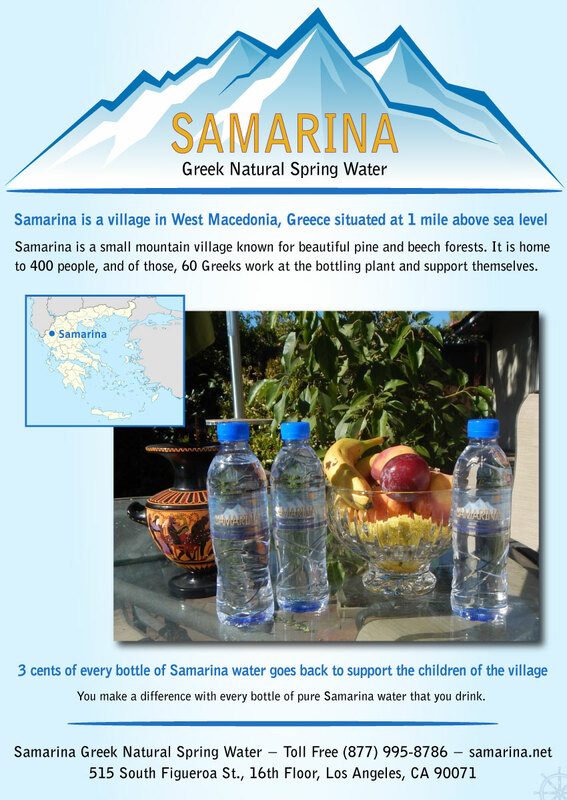 Theme: Don't just share candy on Halloween - give Samarina Greek Natural Spring Water too! Media Mix: Facebook fan page, Twitter, Instagram, and LinkedIn. 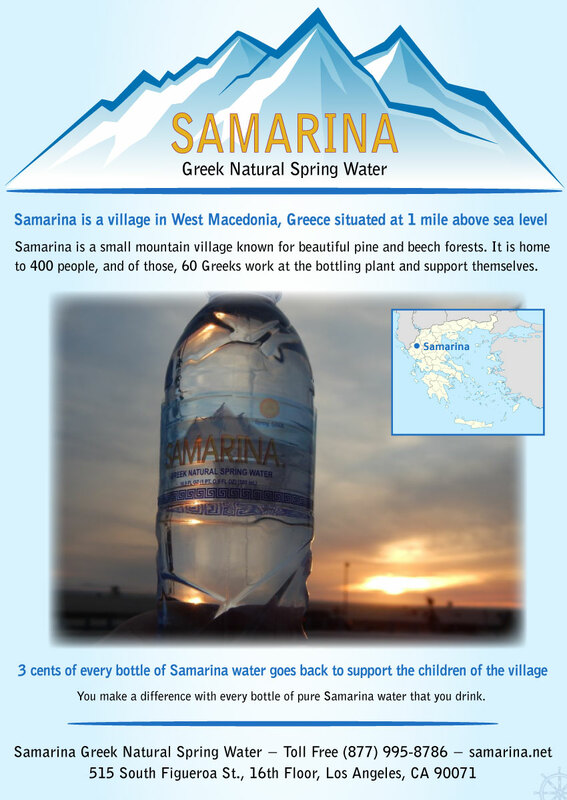 Theme: We love sunsets and drinking Samarina Greek Natural Spring Water! 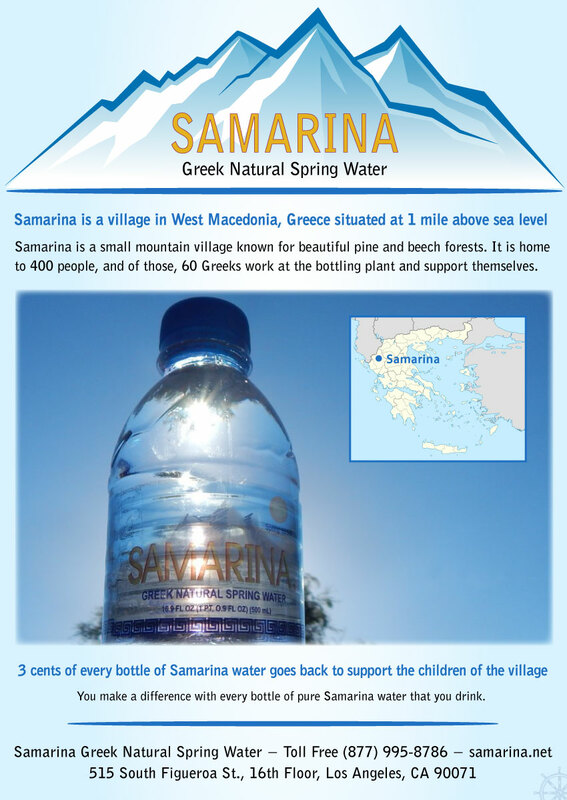 Theme: Two things make us happy today - it's Friday and we're drinking Samarina Greek Natural Spring Water! Theme: It's not too late for a fall barbecue. Grill your favorite entree with fresh vegetables and share it with refreshing Samarina Water! 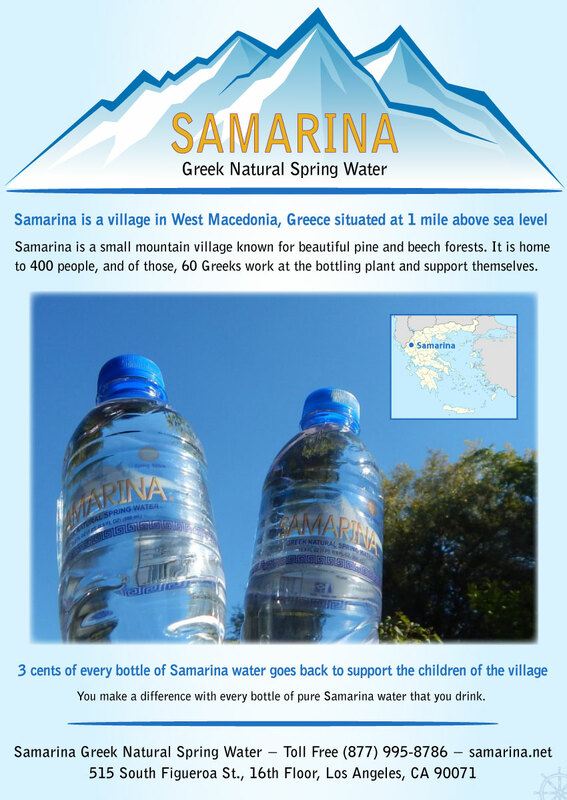 Theme: Greeks create jobs in Greece with Samarina Water. Media Mix: Hollywood Greeks e-mail list, Facebook fan page, Twitter, Instagram, and LinkedIn. 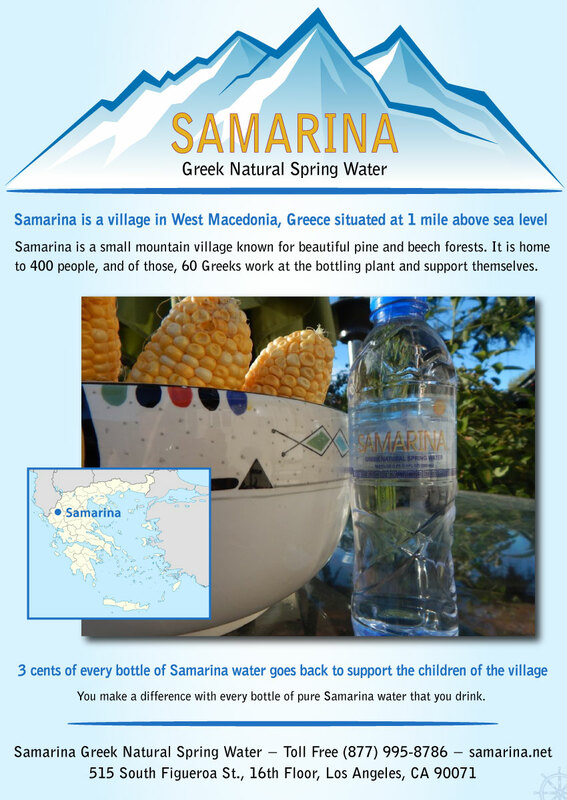 Theme: Palm Trees and Samarina Water make us happy! 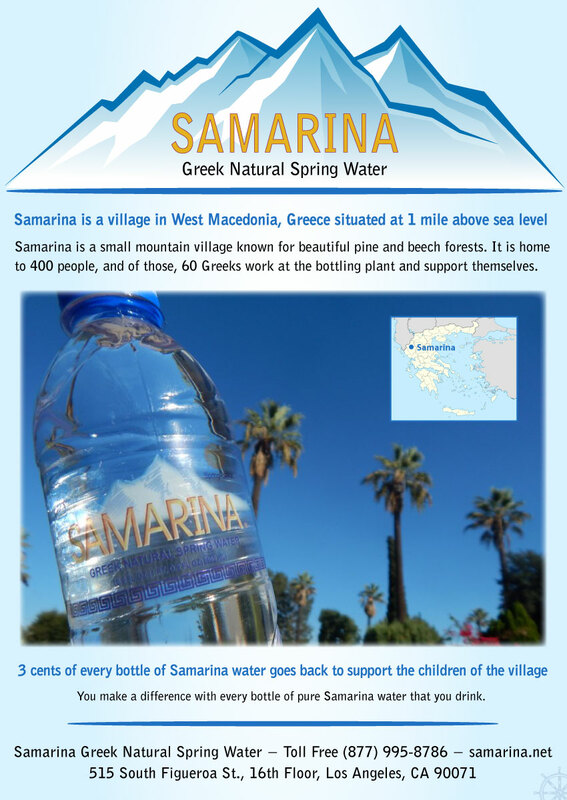 Theme: Introducing Samarina Greek Natural Spring Water! Media Mix: Hellenic Festival e-mail list, Facebook fan page, Twitter, Instagram, and LinkedIn. Extra: The direct email subject line — "A Greek Festival is just better with Greek Water"